Spacing2 - 3 per hill, 4 - 5 feet between hills. FruitDelicate tasting. Medium dark green, speckled, long, straight, smooth fruit. 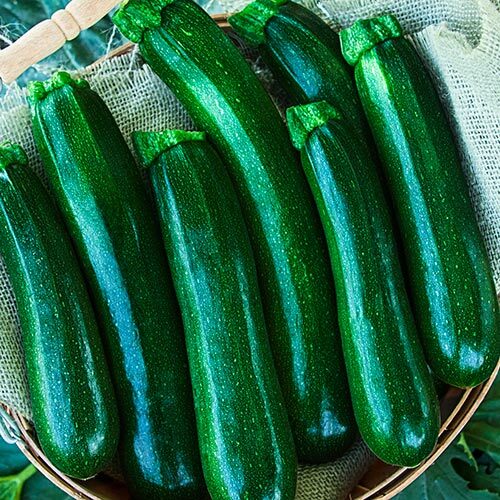 CommentsZucchini. Best when picked at 4 - 5 inches long. Open habit for easy harvest. Bush-type growth, spineless vines. Long picking season. Vigorous plants produce high yields. Bush has approximately 30 inch vines. Yield150 lbs./ per 100 foot row.